Staff Lanyards are perfect for any office environment that needs to ID their staff quick and easily. They are made from polyester and come standard with a safety breakaway and our deluxe swivel as standard. The 15mm width makes them comfortable to wear and we carry these in stock so they are ready for same day shipping. 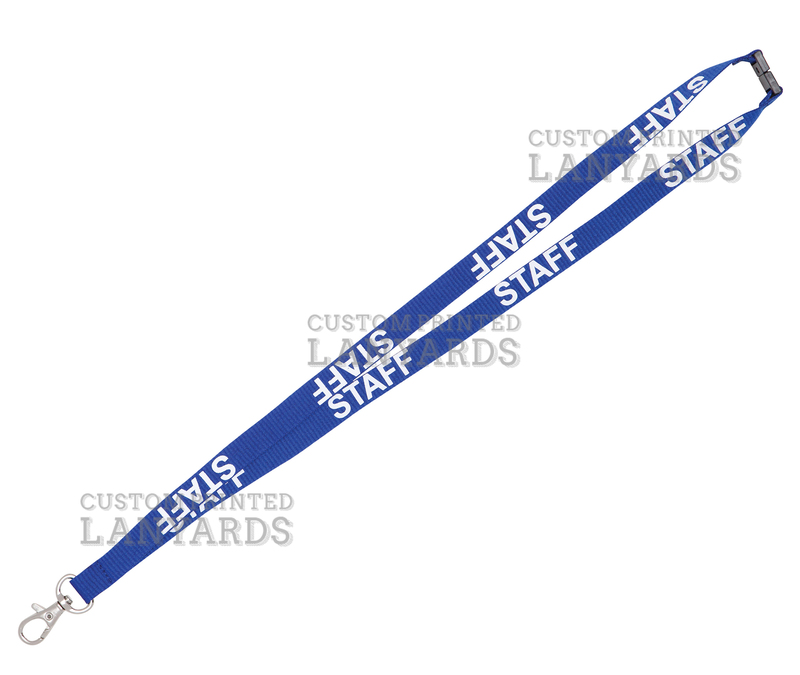 We can also supply with your lanyard order a various selection of name tag card holders.